This woman wears a practical split skirt to ride from the Lund Hotel on up to the mines in the earliest days of the 20th century. At a time when decent women were expected to wear dresses and remain ladylike, the women of the Bohemia Mining District were breaking all the rules. 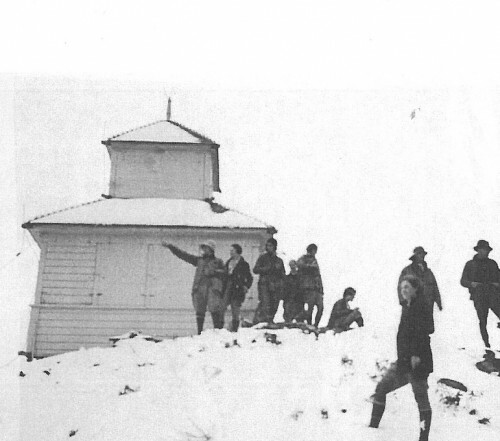 Mabel Crouch, pointing on the left, would have scandalized the townsfolk with her trousers, but up at Fairview Lookout comfort and practicality were the order of the day. The gals with the grit and determination to travel the long, hard roads to the mines were way ahead of their time when it came to appropriate clothing for women. Georgeann Jennings combines sass and practicality in her cute homemade outfit. 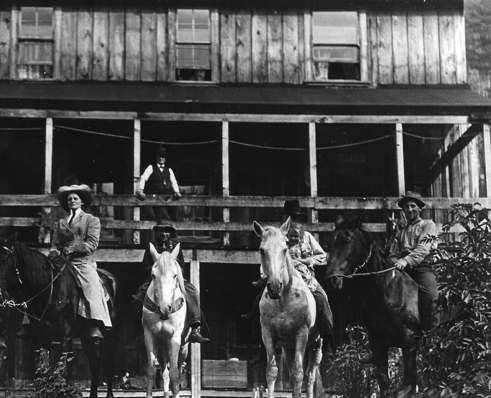 The Jennings were a prominent early mining family. 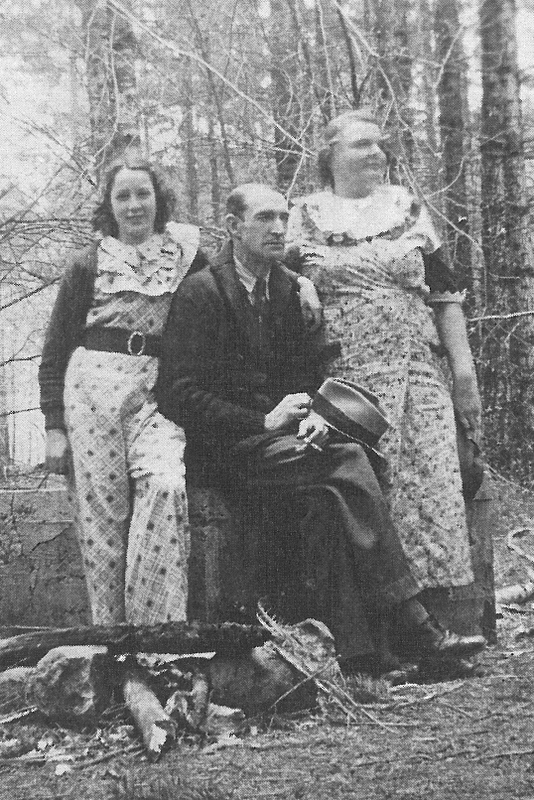 Georgeann is pictured with her father, George, and her mother, Lenora. These photos are from Ivan Hoyer’s excellent book, Bohemia Gold. The Bohemia Mining Museum on 10th St in Cottage Grove has one copy left, so hurry in if you want it!